1. As same as the ordinary core drill bit, it regards drill pipe as a path, getting cores by means of professional ropes and fishing tools in the drilling process. 2. This design could obviously save the working time; Also, it could reduce accidental damages during the lifting and dropping the drilling tools. 3. In addition, CORE-IT wire-line core drill bit extend its service life by using new processing method, and save cost greatly. 4. 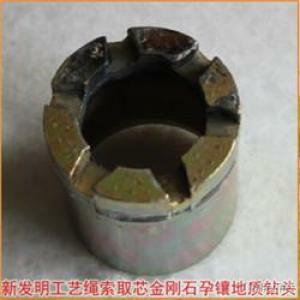 Widely used in deep hole drilling in the field of complex formations, geological exploration and other engineering projects.